Hiking and fishing continually rank as the number one and two activities enjoyed by RVers. This week we will look at Washington’s 15,266-acre Quincy Lakes Columbia Basin Wildlife Area. The area features a dozen named lakes, hiking trails, stunning scenery and best of all free* dispersed camping! A couple of months back, we took a back-country adventure to the Smuggler Mine camp near Sheridan Montana. 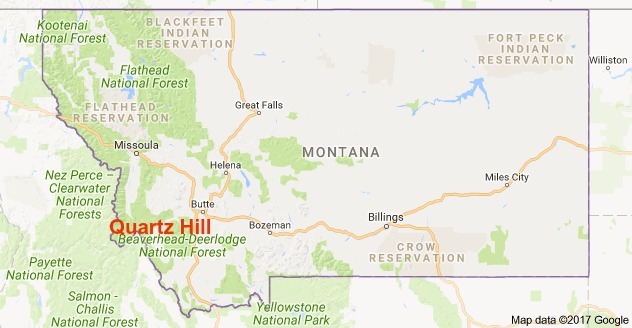 As promised in that entry, following is another historical place to explore Montana’s mining past complete with conventional places to camp and a few nice boondocking locations for those that truly enjoy the back country. Looking to shelter your RV from the elements? There are three booth vendors ready to meet your needs from carports to full sized RV garages. Cover Your Toys booth 18, Alpha Steel Buildings booth 31 and Carports 4 Less booth 41. Congratulations; you did your research, attended an RV show (or two) and purchased your first RV! Now it's time to prepare for the maiden voyage. Regardless if your choice of RV is a motorhome or travel trailer towed behind the family SUV, you need to practice driving and maneuvering your rig. Are you looking to join the thousands of other Northwest families that have discovered RVing? Do you feel intimidated by your lack of knowledge and have no idea on where to start your search concerning the RV lifestyle? Look no further than the upcoming Puyallup RV Show where you can gather a wealth of RV knowledge in a welcoming environment from industry experts ready to answer any and all questions you might have. Discover Pass - Your Ticket to Adventure!